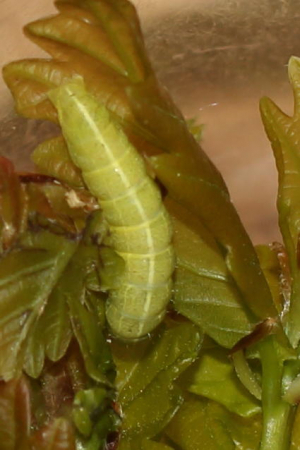 Observation - Green Oak Caterpillar - UK and Ireland. Description: Caterpillar fund on Oak. Retained to rear on (container Y). Caterpillar fund on Oak. Retained to rear on (container Y). By 7th May it hid itself in the tissue paper (presumably pre-pupal). Pupated between 9th and 14th May.